The researcher Aubrey de Grey is well known for his strong advocacy that an indefinite life expectancy is possible. He will present his ideas on the 7th and 8th of November in Valencia where the first edition of the Longevity World Forum will take place. This meeting on longevity, genomics and precision is the first of its kind in the world. In addition, the biomedical gerontologist will prove that we are closer to achieving indefinite longevity than we think. “The next key step will take place when results in labs with mice are sufficiently impressive so that people start realising that medicines to keep us young will actually come soon. I would dare to say that in just five years from now.”, he says. 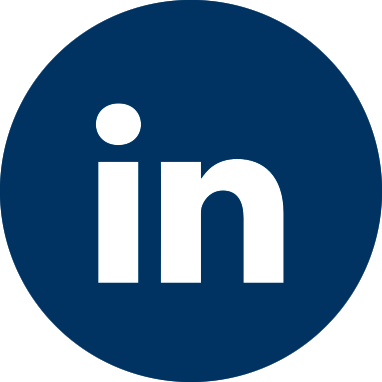 Reservations have been expressed about Aubrey de Grey’s ideas both from the scientific and social point of view, as well as due to its impact on the sustainability of the planet. However, he counters criticism with his conviction that the consequences of human longevity are not worrying. “It is only possible to think that this would be an issue if all the technologies that are being developed even before rejuvenation, which will reduce pollution, are ignored. Once we have ubiquitous renewable energy, artificial meat, and desalinization, all very cheap, more people will be able to inhabit the Earth with a lower environmental impact than nowadays“, he explains. Aubrey de Grey’s perspective comes from his concept of the human body, which he conceives as some sort of machine. “We need a comprehensive preventive maintenance strategy. This way, we will get rid of the harm that our own functioning produces before it is too much and we become ill. The only problem is that we still have not developed all the technology that allows us to do so, but we are close!”, he says. Whether you agree or not with him, the truth is that he captures everybody’s attention. 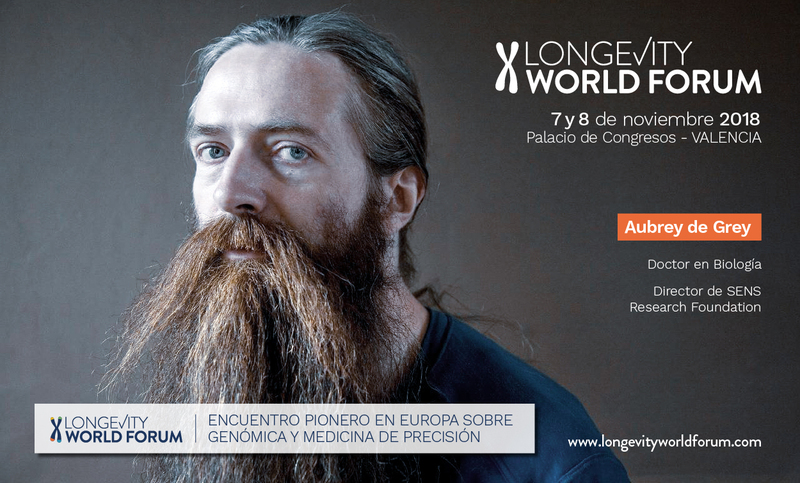 The Longevity World Forum is the first European conference on longevity, genomics and precision medicine where Audrey de Grey will participate. The conference will be held in the Valencia Conference Centre on the 7th and 8th of November with the participation of world leaders of the scientific community such as María Blasco, head of the Spanish National Cancer Research Centre; Ángela Nieto, head of the Developmental Neurobiology Unit of the UMH-CSIC Neuroscience Institute located in Alicante; Manuel Corpas, CEO and founder of Cambridge Precision Medicine; Lissette Otero, Chief Medical Officer and Laboratory Director in Life Length; and Maria Chatzou, CEO of Lifebit, among others. Tickets are still available on the official website www.longevityworldforum.com.